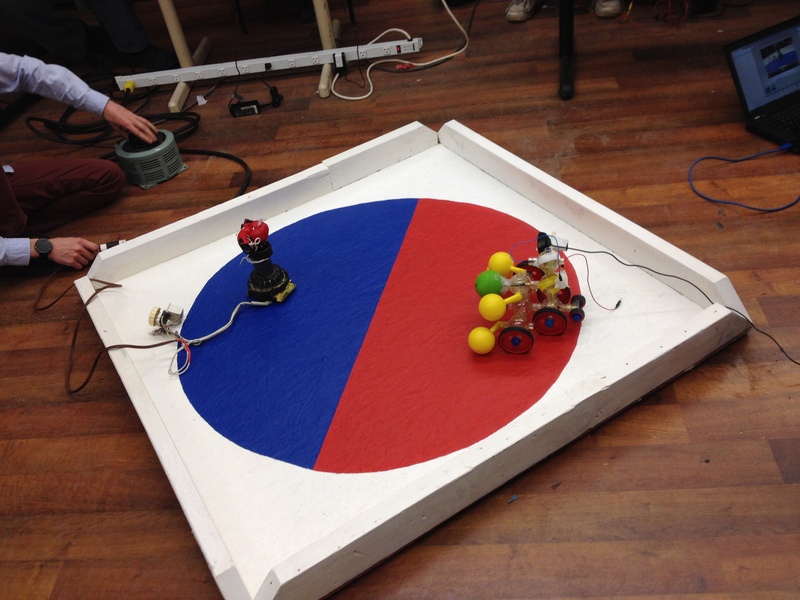 The last crappy robot competition we ran (https://pumpingstationone.org/2015/01/the-dumb–robot–competition-for-dummies/) went so well that we’ve decided to do it again. Bring your crappy ideas to the Chicago North Side Mini Maker Faire on Saturday, May 2, 2015. We’ll start competing at 14:00. Sr. Abrazos (the unofficial mascot of crappy robots) dukes it out against Unilowbrow with its dukes up! Note that the official rules are subject to change. If you are registered for the competition, you will get notice of rule changes. Check out http://youtu.be/46ivFpsmEVQ for inspiration! HEBOCON is what inspired us to put on our own crappy robot competition!